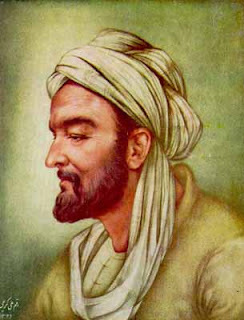 Ibn Sina (980-1037), also known as Avicenna in the West is a philosopher, scientist, and the doctor at the birth of Persia (now Iran). He is also a prolific writer in which most of his work is on philosophy and medicine. For many, he is the "Father of Modern Medicine" and many more called him the most concerned with his work in the field of medicine. His work is very well known is the Qanun fi Thib which is a reference in the field of medicine for centuries. Ibn Sina's full name Abū 'Ali al-Husayn ibn' Abdullah ibn Sina (Persian ابوعلى سينا ​​Abu Ali Sina or in writing Arabic: أبو علي الحسين بن عبد الله بن سينا). Ibn Sina was born in 980 in Afsyahnah area near Bukhara, now territory of Uzbekistan (then Persia), and died in June 1037 in Hamadan, Persia (Iran). Ibn Sina was a philosopher, scientist, physician and active writer who was born in the golden age of Islamic civilization. In those days many Muslim scientists science translate text from Greece, Persia and India. Greek texts from the time of Plato, thereafter up to the time of Aristotle intensively widely translated and developed further by Islamic scientists. This development is mainly carried out by universities established by Al-Kindi. The development of science in this period include mathematics, astronomy, Algebra, Trigonometry, and medicine. . In Dynasty Samayid eastern part of the Persian region of Khurasan and Buyid Dynasty in the western part of Iran and Persian provide a supportive atmosphere for the development of science and culture. In an age of Samanids, Bukhara and Baghdad became the center of culture and science of the Islamic world. 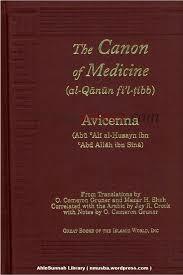 Avicenna authored a five-volume medical encyclopedia: The Canon of Medicine (Al-Qanun fi't-Tibb). It was used as the standard medical textbook in the Islamic world and Europe up to the 18th century. The Canon still plays an important role in Unani medicine. Hello guys! Nice to meet you all! First of all, I want to introduce myself. My name is Edrine Fatharani Faza. You can call me Edrine or Faza, but lots of people usually call me Faza. I was born in Bandung, 19th of December 2001. Now, I'm 14 years old. I live in Cimareme Street number 165. Now, I want to introduce my family. First of all, I want to introduce my beloved father. His name is Ir. Edy Nurhasan. He was born in Belitang, 19th of September 1969. He is a surveyor at EGS private company. I am very proud of him. And the second, I want to introduce my mother, the best person in the world for me! Her name is Dra. R. Rina Kartika Nisfianti. She was born in Bandung, 8th of December 1967. She is a housewife. She always took care of me and care about me, i adore her much. I dont have any brother or sister. I have two cats, their names are Kinoy and Kiku. They are my moodbooster! Even if they're naughty, thought. Assalamualaikum warahmatullahi wabarakatuh, hello guys! My name is Edrine Fatharani Faza, but you can call me Faza. I was born in Bandung, 19th of December 2001. I live at Cimareme Street with my family, that are my father, my mother, and my cats, Kinoy and Kiku. Now, let me tell you about my holiday. It started at the 24th of December 2016 and ended on the 7th of January 2017. I spent my holiday at my house and at my grandmother's house. On 24th of December until 29th of December 2016, I still spent my holiday at my house. Well, it was just a usual holiday spent at home. I ate many good foods, had good time with my parents, played with my cats, and many other more activity.